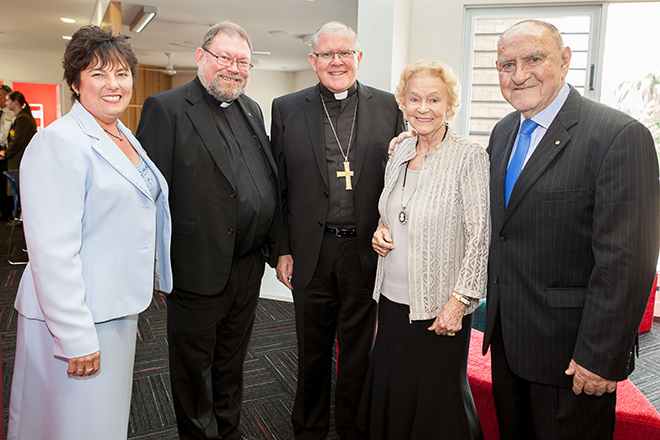 THROUGH the vision of then parish priest Monsignor James Kelly and with the support of parishioners, Our Lady’s College, Annerley, opened its doors in January 1964. 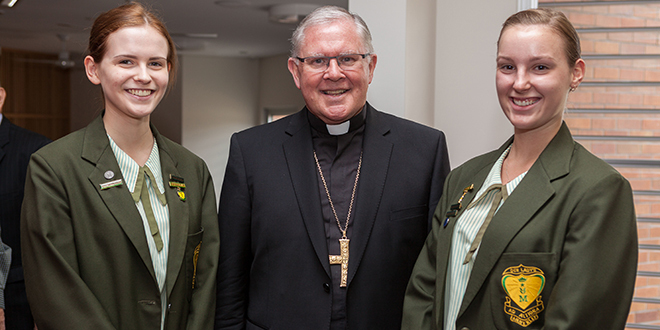 With 78 students in Years 8 and 9, it was staffed by three Josephite Sisters – the first principal Sr Romuald Lambert, second principal Sr Lucy Tierney and Sr Martin. 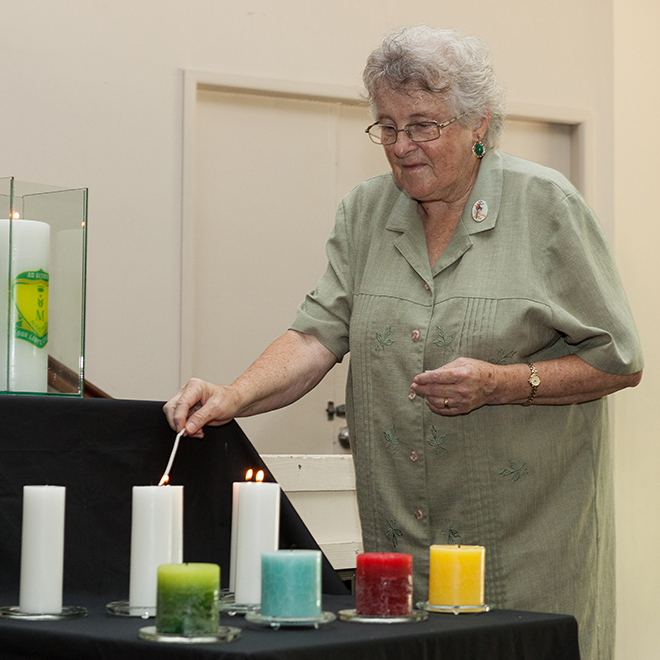 In 2014, Our Lady’s College celebrates its golden jubilee. 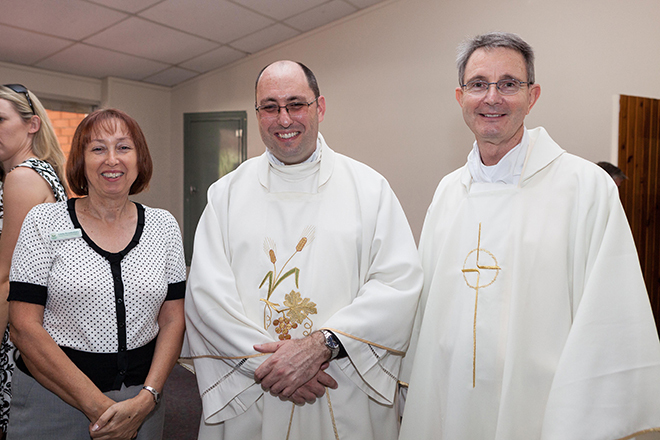 On February 12 the celebrations began with a jubilee Mass, blessing and a tour of new facilities. 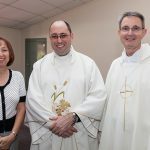 Brisbane Archbishop Mark Coleridge concelebrated with his newly appointed Annerley-Ekibin parish priest Fr Adrian Sharp and priest-in-residence Fr Paul Chandler. Archbishop Coleridge’s homily made strong links to the celebration when he said, “the Queen of Sheba was not a graduate of Our Lady’s, but nonetheless she was a shrewd woman”. “What she (the Queen of Sheba) encountered took her breath away, she found wisdom. The wisdom Solomon had received from God – a wisdom far more than human wisdom,” he said. “The foundress of the Sisters of St Joseph, Mary MacKillop, was a shrewd woman too though with much more than shrewdness. Archbishop Coleridge paid tribute to the Sisters of St Joseph and thanked them for “a magnificent contribution and for sowing the great seed that has flowered at Our Lady’s College”. 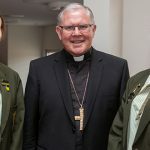 “A lot has changed in the past 50 years, it has gone from being a place for grazing cows to a place for teaching girls; from Monsignor James Kelly to Fr Adrian Sharp and Fr Paul Chandler, via Fr Michael McKeaten; from the Sisters of St Joseph to Brisbane Catholic Education; from Sr Romuald to Ms Paula Goodwin. 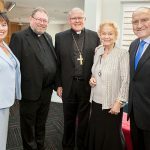 “… But there is one thing that hasn’t changed and it is this – Our Lady’s College exists to produce wise women – women who know what it is to have a human heart, who know the way of compassion, integrity, justice. “Through those 50 years the spirit of God, the spirit of wisdom, has hovered over this very simple beginning and has made this college a womb from which there are born genuinely wise women. 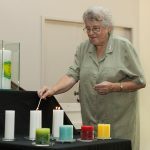 BCE executive director Pam Betts, a past college captain and teacher at Our Lady’s College, said she had fond memories of her time there. 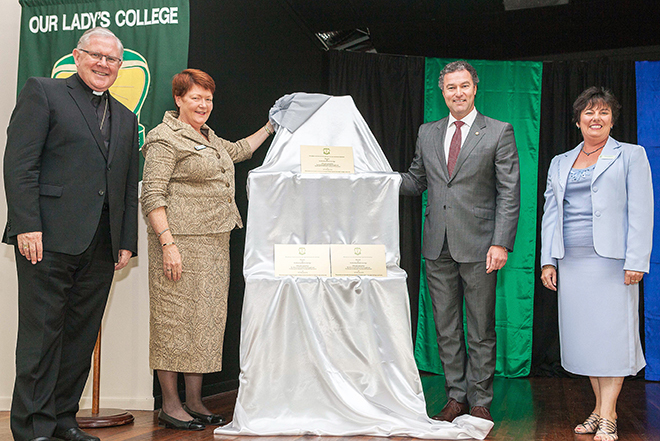 “It is a true privilege to be part of its ongoing story,” Ms Betts said. “With the blessing and opening of these buildings today we take time to focus particularly on the stories of those who began the great work that continues here today. “A school’s distinct identity comes from the telling of stories, particularly those which find expression through an ethos or charism. 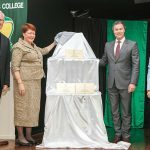 Principal Paula Goodwin concluded the formal proceedings with a vote of thanks to all involved in Our Lady’s College’s – past, present and future. 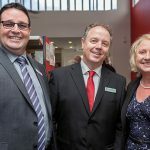 “It is with gratitude that as a community we recognise the generosity and patience of so many as our building program has unfolded over the last 18 months,” she said. 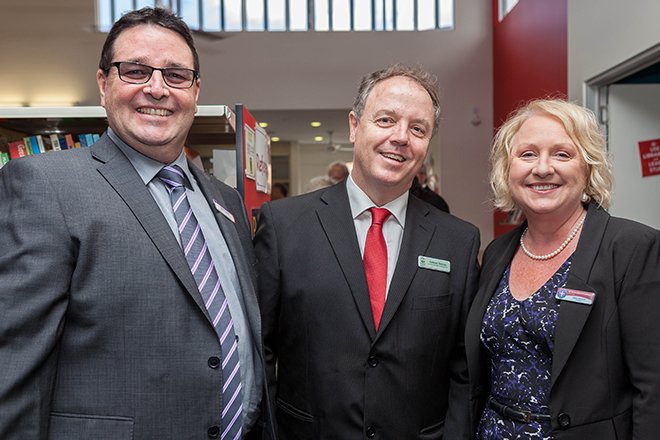 The college is ready to receive Year 7 into secondary with the construction of two new state-of-the-art science laboratories, preparation area and science court in the Tenison Woods Wing.